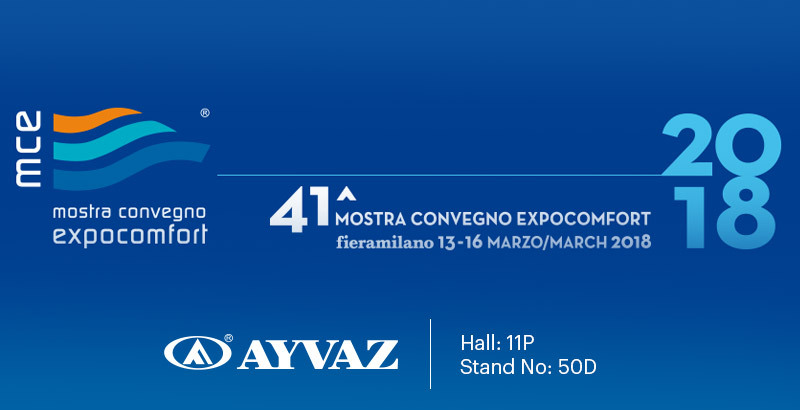 Ayvaz had participated 41st Mostra Convegno Expocomfort between 13rd-16th of March with its new products. It was the 10th time of participation to this exhibition for Ayvaz and it was represented by CEO Mr. Serhan Alpagut, Export Manager Ms. Yesim Sarac and area managers. Mostra Convegno Expocomfort which is also called MCE is one of the most important organizations for HVAC sector. MCE is organized biennially and Ayvaz will be represented in 2020 at MCE again.